This is the second article in a series examining the nature, effects and control of loads that affect metal cutting tools. The initial article focused on basic concepts and on the relationship between tool geometry, feed rates and mechanical loads in turning operations. This article analyses the influence of cutter positioning and tool paths on mechanical loads in milling. While turning generates steady mechanical loads on a single-edge tool, milling subjects multiple cutting edges to rapidly changing intermittent loads. As such, attaining success in milling requires a number of milling-specific choices and considerations. The first and most basic step in planning a milling operation is choosing a milling cutter and cutting inserts or cutting edges designed to produce the features desired on a part. Tooling suppliers offer face mills, end mills, disk mills and other cutters in roughing or finishing geometries engineered to produce nearly any required part feature. Whatever cutter is employed, in operation its cutting edges will repeatedly enter and exit the workpiece material. Loads on the milling teeth go from zero before entry, to peak values during the cut, and back to zero at exit. The goal is to moderate the intermittent loads of the milling process and thereby maximise tool life, productivity and process reliability. Cutter positioning, entry and exit strategies, and control of chip thickness are the key elements that lead to achievement of the goal. Loads on the cutting tools in milling are determined largely by the way the cutter and its cutting edges enters the workpiece. In conventional or “up” milling, the cutter rotates against the direction of workpiece feed. In climb or “down” milling, the cutter moves in the same direction as the feed. As a result, in conventional milling the cutting edge enters the workpiece at minimum chip thickness and exits at maximum chip thickness. Conversely, the cutting edge in climb milling enters the work at maximum chip thickness and exits as the chip thickness decreases to zero. In either case, the operation produces a tapered chip. In most situations, tooling suppliers recommend climb milling because it minimises the rubbing and friction that occurs at the shallow-thickness entry of conventional milling. 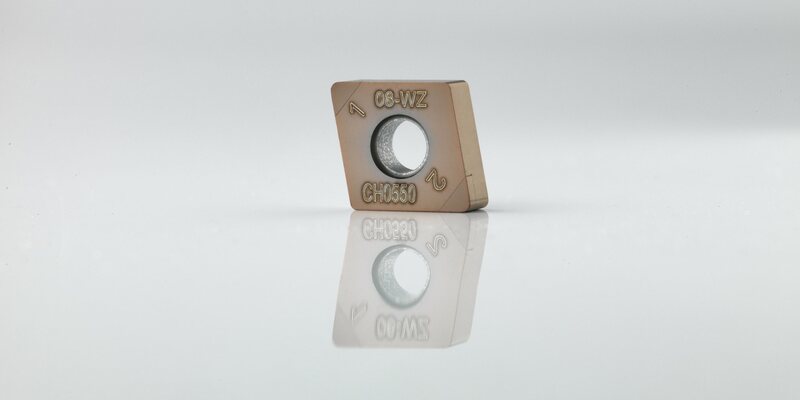 In climb milling, entering the work material at full thickness also facilitates heat transfer into the chip, protecting both the workpiece and the tool. Chips flow behind the cutter, minimising the risk of recutting them. In some cases, however, conventional milling is preferred. Face milling with the climb method generates downward force that can cause backlash movement on older manual machines. Conventional milling, in which the cutter pulls up on the workpiece, may be a better choice with less-stable machines, especially in heavy cuts. Conventional milling also can be effective when milling rough-surfaced or thin-walled materials, and the gradual entry into the workpiece material can protect brittle super hard cutting tool materials from impact damage. On the other hand, the excessive friction and heat that can occur in the shallow entry characteristic of conventional milling may have detrimental effects on a tool. Uneven force on the tool edge can cause edge chipping and increase tensile stresses. Surface finish may suffer because chips drop in front of the cutter and may be recut. 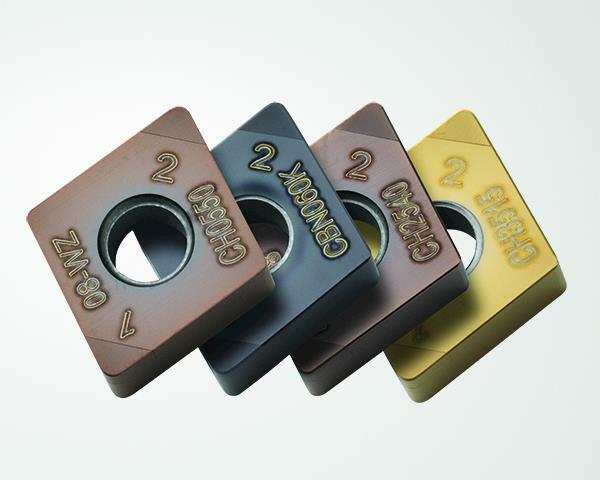 The full-thickness entry of the cutting tool in climb milling subjects the tool to heavy mechanical loads, but for most cutting tool materials that is not a major problem. Modern tool materials including carbides, ceramics and high-speed steels are powder-based products that have good compressive strength. When discussing cutter positioning and tool entry strategies, machinists should note that positioning the cutter to one side or the other of the workpiece centerline is always preferred. Central positioning mixes the forces of conventional and climb milling, which can result in unstable machining and vibration. How the cutting edge exits the workpiece is equally important as how it enters. Experimental results show a clear relation between the positioning of the cutter at exit and cutting tool edge life. If the exit is too sudden or uneven, cutting edges will chip or break. On the other hand, attention to the exit of the tool can result in as much as a 10-time increase in tool life. The critical value is the exit angle, defined as the angle between the milling cutter radius line and the exit point of the cutting edge. The exit angle can be negative (above the cutter radius line) or positive (below the radius line). Tool edge failure is more apparent with exit angles between approximately minus 30 degrees and plus 30 degrees (see Figure 3/ 3 images). The width of the workpiece area encompassed by those angles is roughly half the diameter of the milling cutter. Another way to improve the intermittent nature of the loads on the edges of a milling cutter is to maximise the number of cutting edges engaged with the workpiece at any one time. Applying smaller diameter, close-pitch cutters and larger radial depth of cuts puts more teeth in contact with the workpiece and more evenly distributes cutting forces. The thickness of the chips produced in milling strongly influences cutting forces, cutting temperature, tool life and chip formation and evacuation. If chips are too thick, heavy loads are generated that can chip or break the cutting edges. When chips are too thin, cutting takes place on a smaller portion of the cutting edge and increased friction creates heat that results in rapid wear. Chip thickness is measured perpendicular to the effective cutting edge. As discussed earlier, the chips generated in milling continually change in thickness as the cutting edge passes across the workpiece. For programming purposes, tool suppliers utilise the concept of “average chip thickness.” The average thickness is the numerical average of the chip’s thickest and thinnest dimensions. Toolmakers provide average chip thickness data for specific tool geometries that when applied and maintained will produce maximum tool life and productivity. Machinists use that data to determine cutter feed rates that will maintain the recommended average chip thickness. The radial engagement of the cutter, the diameter of the cutter, the cutter positioning and the cutting edge angle of the cutting edge are factors in determining the correct feed rate. Radial engagement is defined as the ratio of the radial depth of cut (ae) to the diameter of the milling cutter (Dc). The greater the radial engagement of the cutter, the lower will be the feed rate required to generate the desired chip thickness. Similarly, with lesser cutter engagement the feed rate must be higher to achieve the same chip thickness. The cutting edge angle of the cutting edge also affects feed requirements. Maximum chip thickness occurs with a cutting edge angle of 90 degrees, so lesser angles require a higher feed rate to achieve the same chip thickness. Sharp cutting edges produce lower cutting forces but are also more fragile than honed or chamfered edges. Mechanical load on the cutting edge must be limited to prevent chipping and breakage, so smaller average chip thicknesses are recommended when applying sharp cutting edges. In this case, the cutting edge geometry used determines the correct average chip thickness and vice versa. Machinists can utilise these principles and methods in basic milling applications to control the intermittent stresses on milling tools. However, as part requirements become more complex — even at the level of simply milling into corners — manually changing feed rates to maintain recommended average chip thicknesses is essentially impossible. For those cases and beyond, including very complex 5-axis milling, makers of CAM software and advanced CNC equipment have developed techniques such as trochoidal milling and corner peeling as well as constant tool engagement tool path programs such as Dynamic Milling, Volumill, or Adaptive Clearing. These software and machine control advances represent the high-tech evolution of the basic concepts of management of tool entry, exit, and chip thickness to control the effects of the intermittent milling process on the cutting tool. Manufacturers have employed milling machines and tools for more than a century, producing countless parts in high volumes and top quality. Over that time, the basic milling process has remained the same, namely the use of a rotating cutter on a workpiece to machine a surface. The intermittent cutting nature of the process has remained the same as well. Milling machines and milling tooling have evolved to an unbelievable extent, but in many cases their users are not taking full advantage of that technical progress. Recognising the unique interaction of workpiece and tool that takes place in milling and working to moderate the intermittent stresses involved in the process enables manufacturers to achieve the rarely-attainable triple goal of maximum productivity, quality and tool life.